In small bowl, combine sour cream, onion, cream cheese, garlic and pepper; blend well. Set aside. In medium saucepan, combine water, butter and salt; bring to a boil. Remove from heat; stir in milk and both pouches of potatoes with fork until blended. 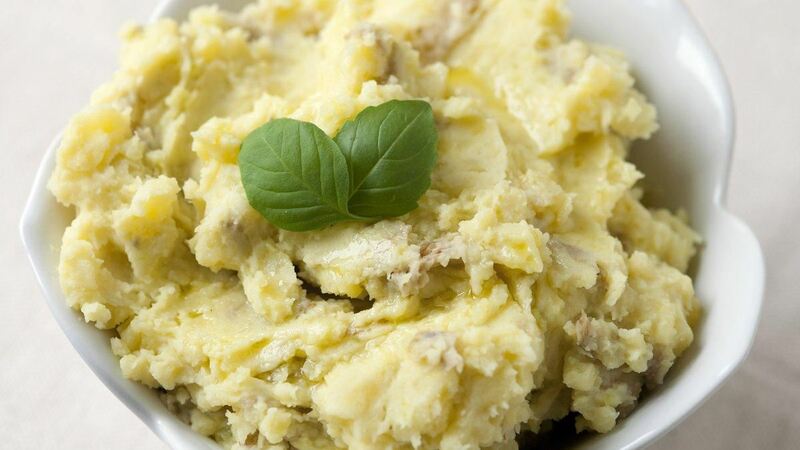 Add sour cream mixture to potatoes; blend well. Spoon into serving bowl; garnish with parsley. Tip: Recipe can be prepared ahead of time and refrigerated. Reheat in microwave.